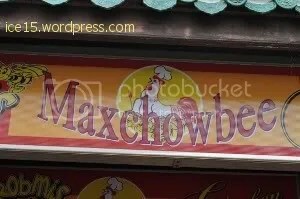 I was walking by Tanjong Pagar on a Sunday afternoon taking pictures when I saw this establishment named Maxchowbee! The name is honestly like a combination of Max’s, Chowking, and Jollibee. Here are some photos I took from outside. Now, just a quick one as per my guidelines for this category. They are only open from Monday to Saturday from 5pm onwards. 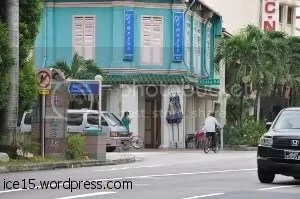 This restaurant is very near Duxton St. where there are a number of bars which employ Filipinas. You can bring some friends if they don’t mind eating with this crowd. You may be happy to know that according to their menu, they deliver! Here’s a map of Tanjong Pagar. 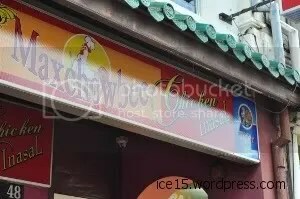 Maxchowbee is very near the corner of Duxton st.
Another Establishment here in Singapore which sells Filipino Food. 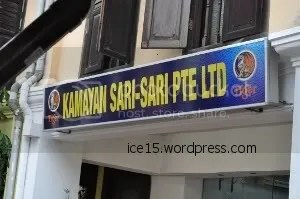 Kamayan, not to be confused with the Kamayan restaurant in the Philippines, is located at the corner of Craig and Tanjong Pagar Road, it is also an establishment away from Duxton Rd. Nearest MRT’s are Tanjong Pagar and Outram Park. 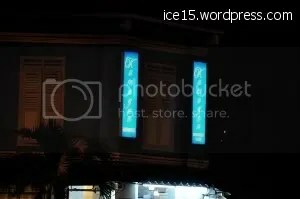 Here are some photos I have taken while walking by Tanjong Pagar. They also have a store which is almost beside the restaurant. You can choose from their counter and you can ask them to prepare Sisig, Lechon Kawali, and Crispy Pata (deep fried pork knuckles). The place does not have air conditioners so I honestly think that dinner is the best meal to eat here. 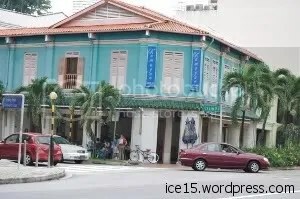 The Place is very near Duxton St. which have dozens of night clubs/bars. Filipinas working at these bars are regular customers of Kamayan so I am not sure if your foreign friends will be comfortable eating here. You may also want to consider your time of visit. Since this restaurant is busy before and after these bars/clubs open. Recommended for people who will try Philippine Cuisine for the first time: Maybe for the adventurous – please see my reason above. 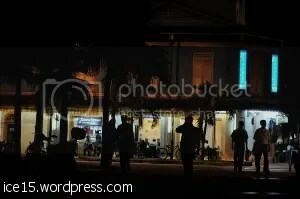 Here are additional photos taken during the night. I have heard that this actually is open until the bars/clubs of Duxton st. closes which is around 2a.m. perfect for those who are craving for Filipino food almost 24 hours a day.